So, what are you waiting for? Get started on your spring cleaning and come to the shredding event at Marquette Park, 6745 S Kedzie Ave, Chicago for a FREE shredding event hosted by the 17th Ward Alderman David Moore from 9m to 1pm. Now there is Mercury and Venus, Earth and Mars! Jupiter and Saturn, those are the big ones. Uranus and Neptune, but not Pluto! Those are the planets. Yes, these are songs that are sang by kindergartens now a days. It’s cute when they sing it in school. Imagine that you have a child aged 3 or 4 and have them sing this while at the Adler Planetarium. That would be a wonderful sight to see. If you do not have a child this age, you can sing the song and amuse yourself as you stroll around the museum. The best part is, of course, you can do so for FREE this coming week during one of the Adler Planetarium FREE days! Make sure you bring your valid Illinois ID with you. So, plan your week and visit the Adler Planetarium. Make the most out of what are for FREE in Chicago! Are you on the Fresh Farm mailing list? If you are not, here are reasons you should sign up right now! If you have not been to Fresh Farm before, you would be skeptical about being on their list. You may think that it is just something else that you will need to delete from you inbox. However, once you’ve visited one of the Fresh Farm stores in the Chicago area, you will surely have a change of heart. Yes, Fresh Farm is one of the stores in the Chicago area that has a huge assortment of fruits and vegetables. For those who like their daily dose of green leaves, citrus and fruits, this is a place where you can find most of what your heart desires. Although Fresh Farm stocks about anything, you can also find an abundant selection of Asian products. Most of the products are a lot more expensive elsewhere in Chicago. Once a month or so, you will receive a coupon from the Fresh Farm giving you a $10 discount for purchasas over $40. This is a deal! The holidays bring back thoughts of being a parent and how every parent wants the best for their child/children. For the next 2 days, I will be posting photos of parent’s and their prayer for their child/children. These are dedicated to all the WONDERFUL parents out there! The holidays bring back thoughts of being a parent and how every parent wants the best for their child/children. For the next 9 days, I will be posting photos of parent’s and their prayer for their child/children. These are dedicated to all the WONDERFUL parents out there! 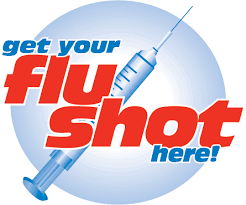 It is not too late to get your flu shots and it is most definitely not too late to get it for FREE. According to the CDC, children younger than five, people 65 and older, pregnant women and residents of nursing homes have the highest risk for getting the flu. That is why, getting a flu shot this season should be your priority. Do you want to know where you can get it for FREE? See below.